Yes, why yes you do. Cats generally will use a litter box with a little coaxing. Set up the box, place the cat inside, and you needn’t do anything more than regular maintenance. People hypothesize that it’s your cat’s second nature since litter resembles ground material in the wild. However, sometimes cats need assistance due to their age, they have a medical problem, or for one reason or another, they stop using their box and require retraining. About 90% of all cats simply need a clean place to do their business, have their own show them where it is, and that’s all that matters. The other 10% can turn a sweet companionship sour overnight. Does your companion fall into this category? Did you know Issues that could arise vary from using the wrong litter to the wrong litter box style to undiagnosed health conditions? Owners seldom realize the choices they make for their cat’s bathroom can lead their companion to make their own toilet. Cats have excellent memories, and like humans, they can associate certain sights, sounds, smells, and daily habits with negative reactions that occurred once. For example, if your kitty once had a urinary tract infection and felt pain when using their litter box, they can stop using it. According to ASPCA, This isn’t an exclusive list, and cats might have multiple reasons for refusing to use their litter box. Always contact your veterinarian if your cat suddenly stops using their litter box to rule out an underlying health issue, such as a urinary tract infection. They don’t like the style. They don’t like the location. You haven’t spayed or neutered your cat, and they’re marking their territory. What about fancy paw cleaning mats? Save your money; most don’t work any better than a ratty towel does. You’re better off keeping a small hand broom or handheld vacuum nearby (a wet/dry model works well). After you scoop the boxes, clean up any litter. 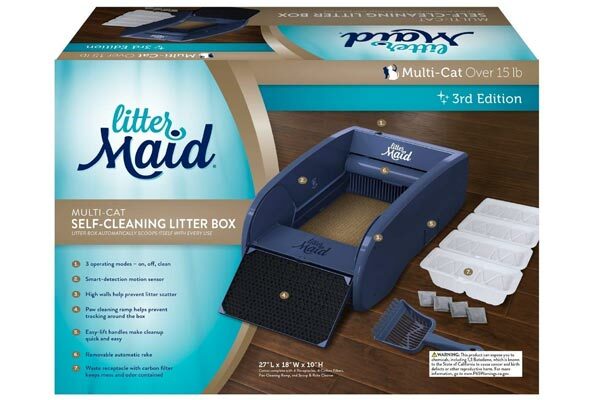 Another notable problem with mats that collect litter is your cat might view it as an extension of their litter box. The same applies to your rugs, towels, or anywhere litter spills. Your cat can’t communicate the type of box they want to use before you buy one, so it’ll be up to you to decide. Various styles and sizes exist, and each litter box type has pros and cons. Unless you have a picky kitty, you should be fine choosing based on your preferences and available space. 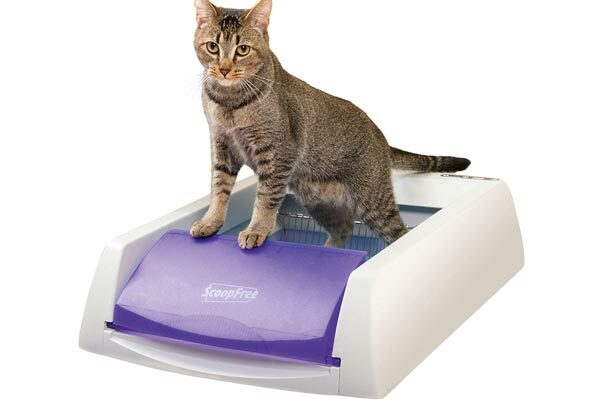 An automatic litter box makes scooping easier with automatic rakes that quickly run through the litter after your cat does their business. Most units dispose of waste in a container receptacle that you toss in the trash. Fancier models can hook into your water and sewage system. This type of box does have a few downsides. They’re not the greatest boxes if you have multiple cats, but many claims to be. They might scare off your cat or clean itself when your cat needs to use it. Also, these aren’t suitable for cats under 6 months old. 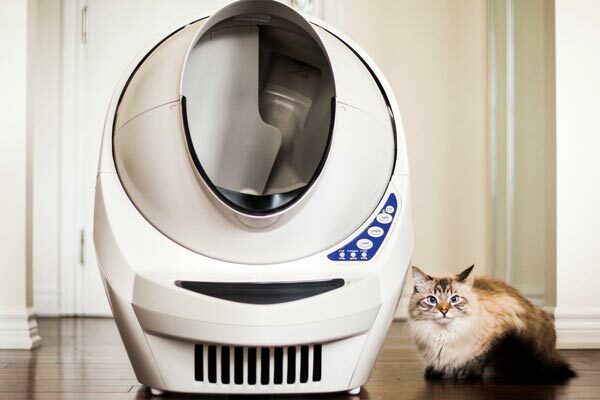 While we don’t mention the brand above, we wanted to give you owner insight on automatic litter boxes from an unbiased source. Bitwit’s video shows how the Litter Robot III works, his opinion as a multiple cat owner, and he shares the initial reactions of his cats. If you decide on an automatic model, consider starting with one and keeping a regular box for backup in case your cat refuses to use it. Also, YouTube can offer you an inside look to cat reactions, but every feline is different. Your cat doesn’t need privacy. What a hooded box is great for is keeping out small children and dogs. The latter is harder to keep out unless you opt for a top entry. A dog will have a harder time because the hole isn’t large enough for their heads, but an unsupervised and diligent dog will find a way inside. 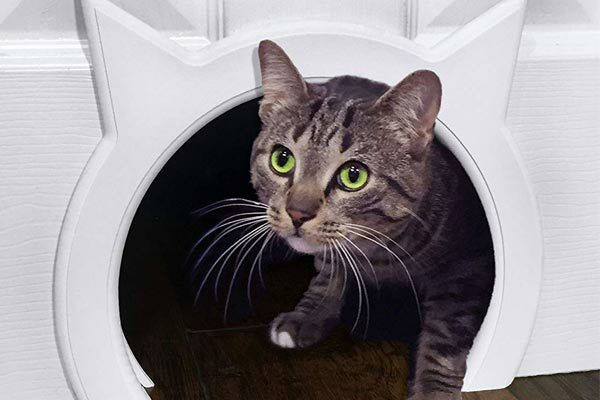 You can face away from the entrance on a standard hooded box, but this might introduce litter box anxiety to your cat by making them feel cornered. A hooded box can also keep heavy diggers from kicking out litter and clumps of waste. Some cats also like to pee on the sides, and this style can allow them to do their business without creating a huge mess on your floors. A flap might stop this as well as top entry models. Hooded models aren’t suitable for all cats. Seniors, obese cats, or those with arthritis can have difficulty entering and exiting the boxes. Small kittens might have the same issue. Taking off the hood and using it as a classic style pan might not be enough to assist them. 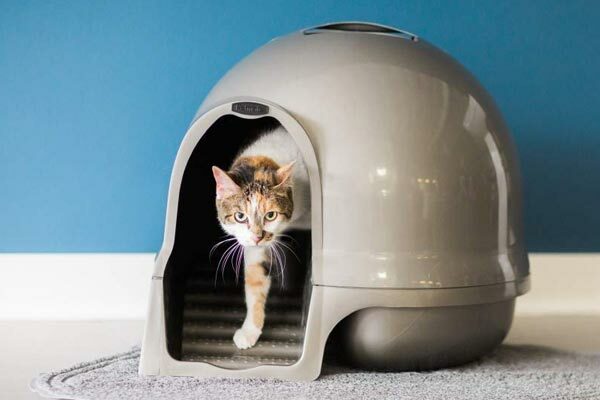 However, styles that use steps, like the Petmate Clean Step Dome listed below, can be a happy medium for you and your senior cat. If you do choose a hooded box, you want the interior to be at least one and a half times larger than your cat. They might not use it or have trouble using it otherwise. 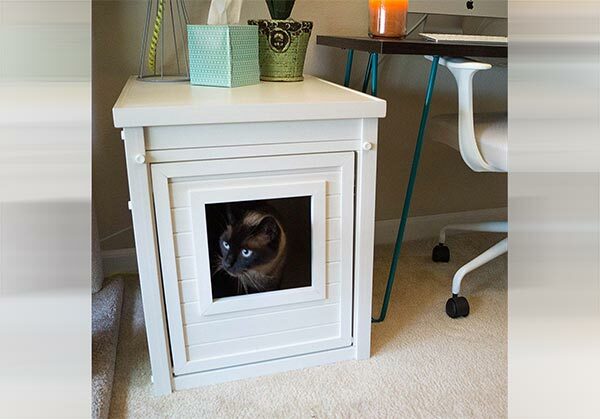 What About Litter Box Furniture? 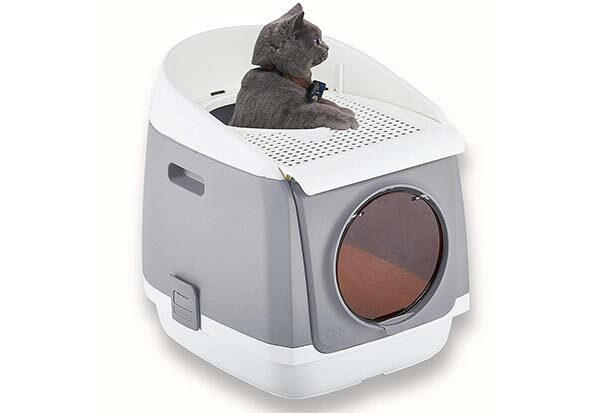 Litter box furniture encloses and/or completely hides the litter box. They can be a win-win if you can coax your cat to use it. Keep in mind that your cat doesn’t care if their potty place looks like an end table. You’ll want to purchase a box that fits inside the furniture if it doesn’t come with one too. We recommend a classic style box since your cat might not want to climb through multiple openings. 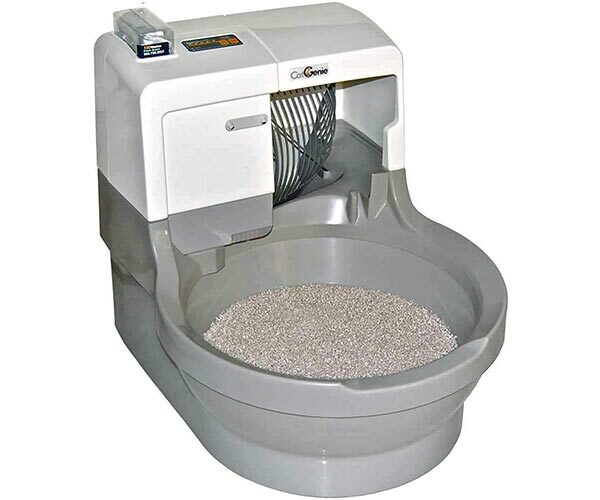 Is the Classic Litter Box Still Most Popular Style Among Cats? According to a recent study on cat litter box preference, no. Only eight of their participating felines had a preference, leaving 70% of the remaining cats without care. Interesting enough, one of the picky “no hood” cats changed its preference post study when the researchers switched to an unscented litter. One upside a classic litter pan is their available sizes and shapes. 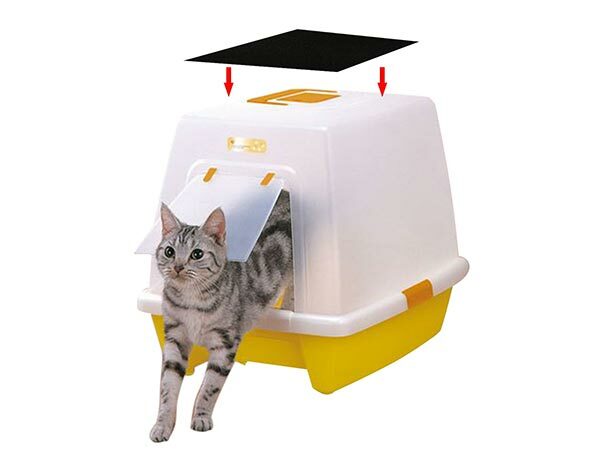 You can also purchase side extensions that contain waste and litter without making your cat feel trapped. Another pro is they sit lower to the floor, which makes them suitable for aging cats and kittens. Litter is a relatively new invention. Prior to WWII, housecats didn’t care about boxes, location, or the type of litter. Their greatest concern was making sure someone let them outside in time. Today paints a different picture. Most owners exclusively keep their cats indoors with some allowing outside access (and they still keep litter boxes). Like with box style, your cat might have a preference in the type of material they want to use as a bathroom. How do they voice their opinion? Oh, you’ll notice they’ll pee and poop anywhere but the litter box. Many litters have enormous downsides, depending on what you need the litter to do. Few of the natural ones, for example, provide you with a safe alternative to clumping litter that reacts to waste in the same manner. Harder to find grass litter comes the closest. If your cat has food allergies, you might want to avoid corn and wheat litters. Your cat can lick their paws after using their box and ingest it. The same applies to gel crystals, which use silica, a known animal toxin; despite the small amounts ingested, your animal will use their litter box multiple times a day. Two popular litters are clay and clumping. Most clumping litters use a clay base. Both can cause dust to kick up when your cat uses the box, which can lead to respiratory issues and urinary tract infections. Kittens under three months old should use clay. What Litter Do Cats Prefer? However, studies show that cats prefer clumping litter without additional fragrance. 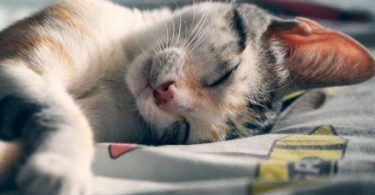 Added scents are for owners; they partially mask the odor, but they’re not a replacement for scooping the litter box and can be harmful to your cat. 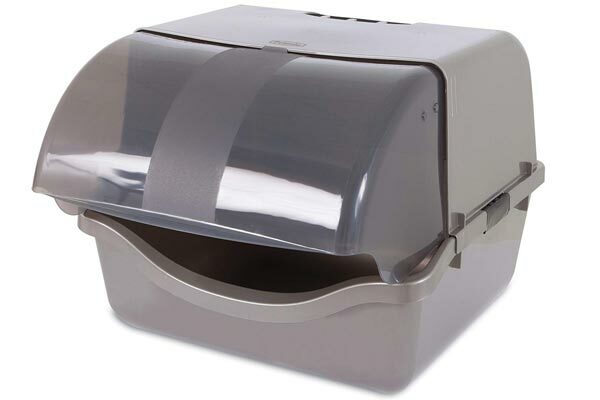 Do keep in mind that an automatic litter box might require a certain brand or variety. Follow the manufacturer instructions, and contact them for alternative suggestions and approved additives. Your cat’s nose is sensitive, and their litter box is stinky. That’s not a winning combination when you’re attempting to control or prevent odors from taking over your home. Your first thought might be litter box additives, followed by aerosol or outlet-style air fresheners. Those products can be just as harmful and act as a deterrent too. 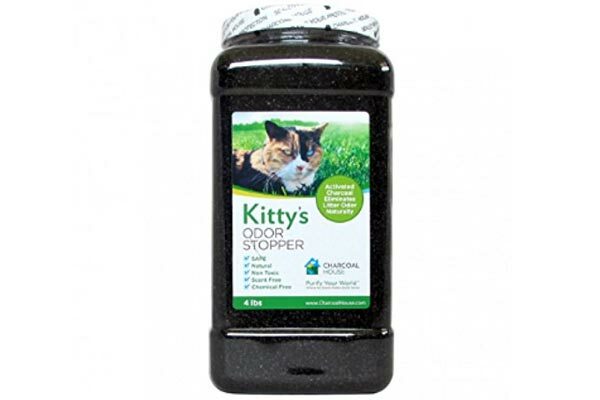 If you want superior odor control and a safer alternative, opt for activated charcoal filters. Most hooded styles have a vented flap on top to hold them. Alternatively, you can choose to add granules to the litter. 1. Pick a brand and give your cat at least one month before switching again. Every formula is different, and constant switching can lead to your cat seeking another potty. 2. Use clay or a natural litter material with kittens under three months old. Some vets recommend under six months to be safe. 3. Choose unscented litter if possible. 4. Watch and listen to your cat for signs of distress or pain when using the litter box. It might not be your litter, and it could be a sign of a medical condition. Where Should You Place Your Litter Box? If your first thought is to place your cat’s litter box in the farthest area of your home, you might find your cat doesn’t want to use it. This isn’t the only mistake owners make with litter box placement. Owners aren’t to blame; the internet offers a lot of mixed advice. Jackson Galaxy from Animal Planet’s My Cat From Hell offers helpful tips backed by experts on where to place your cat’s litter box. 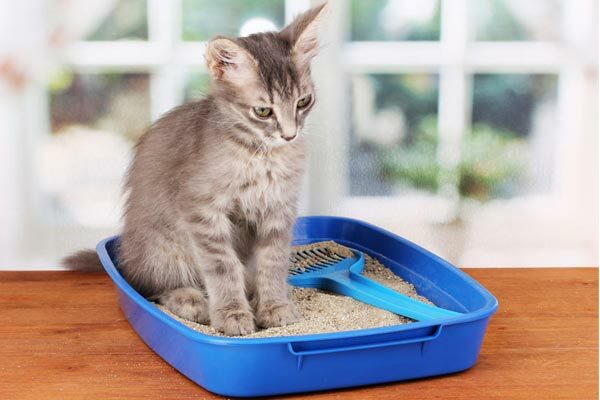 Most of his advice addresses cats that refuse to use their litter box, but it’s certainly useful for new owners that want to avoid creating issues. Cat Health recommends you place two boxes side-by-side because cats don’t like to pee and poop in the same box. They go on to explain that these boxes actually count as one box. For example, if you have two cats, you should have six litter boxes in your home. Their advice actually aligns with Jackson Galaxy’s since when he talks about not placing them side by side, he’s referring to those being your only litter boxes. Imagine how many litter boxes you’d need to find space for if you owned four or more cats. Unfortunately, if you own multiple cats, their litter boxes will quickly overtake your house. Our best advice? Use your cat as a guide. Do you notice one box with only poop and one with pee? Do they use the boxes equally? In areas where one box sees more use, consider placing a second one there. See if anything changes. Do You Really Need to Face Them in Separate Directions? A few videos touch on changing the direction your litter box faces. Some show them diagonal but in a corner. Others face a hooded litter box’s opening at the wall. To be frank, your cat likely doesn’t care the direction as long as they feel safe. How Else Can You Keep Dogs and Children Out of the Litter Box? Remove the temptation without stressing out your cat. You should try to keep animals out of the room where the litter box sits. Baby gates and hexagon shaped enclosures make good deterrents for most dogs. Another option is to put cat openings in doors. While you can’t do this if you rent, you can cut small openings in the bottom of doors to give cats free access to rooms that would be otherwise off-limits to your dogs and small children. The Kitty Pass makes an interior wall version and a door one. Both come in multiple sizes. Do you live in a rental? Try the Door Buddy instead if you want to block access to other pets and children. 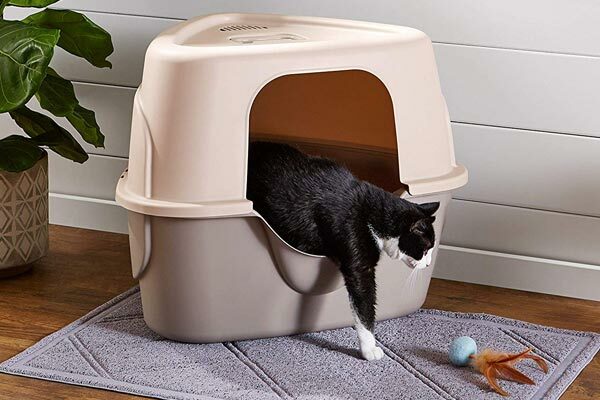 This allows a gap wide enough for your cat to enter and exit the room. However, it might not stop small and toy breed dogs. While deterring animals and children is ideal, you should also consider reasons why your dog wants to eat cat feces. You might believe it’s normal behavior because so many dogs do it. It’s not normal; it’s a named condition. According to the AKC, Coprophagia is what occurs when your dog eats cat stool on a regular basis. The reasons vary. Stress, sickness, malnutrition, and age can be factors. In 2012, a study concluded that dogs ingest this poop to protect their pack from parasites. Unfortunately, this means science and medicine are still figuring out the way. If it’s due to stress, sickness, or malnutrition, you might be able to reverse it. You’ll be unlikely to reverse the condition if it’s instinct. Regardless of the reason, a dog noshing on poop is gross and unhealthy. Speak with your vet. Work to address the issue, and use the best solution for your situation to keep Fido out of Fluffy’s litter box. Always have a litter box per cat and one extra. 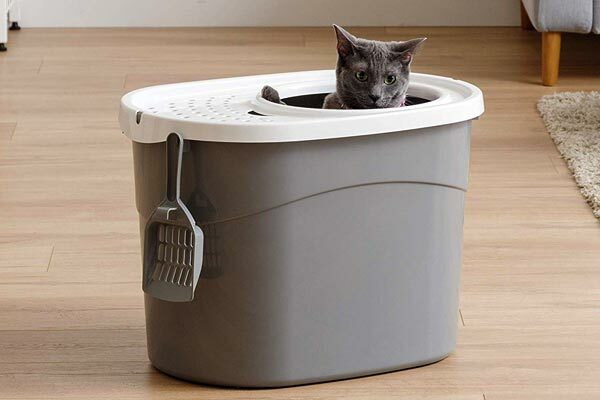 Spread litter boxes around your house. Place boxes in social areas for your cat. If you use side-by-side placement, you count them as one box. Don’t move the box unless necessary. Don’t place them near air fresheners or electronic essential oil diffusers; many essential oils are harmful to cats, and electronic diffusers release essential oils into the environment, which they can ingest. Keep litter boxes away from dogs and children. Use barriers if possible. Consider addressing underlying issues with your dog. Does Litter Depth Really Matter? Yes, the Humane Society says cats can be finicky about their preferred litter depth. Two inches or less is a good place to start, and just because you add more litter, it doesn’t mean you scoop it less frequently. How Often Do You Scoop? To be honest, you can’t scoop it too much. Once a day works for one or two cats that have multiple boxes. If you have more than three cats, you might prefer twice or more. This is especially true if they congregate to the same boxes. Litter box liners might sound like they’re practical in theory. Most cats don’t like them and will scratch holes in them, which renders them useless. Whether to use pan liners is up to you and your cat. Patience is a virtue you will need if your feline falls into the 10%. It can take you months to uncover, diagnose, and begin addressing the issues. Just remember, yelling at your cat isn’t going to solve the problem. Throwing objects or rubbing their nose in their mess also won’t work. The more frustrated you are with your cat, the more they’re likely to act out because of it. According to the ASAPC, your feline develops likes and dislikes in the early months of its life. This includes their litter and box preferences. This is also the easiest time to train your cat to like what you bought. However, sometimes it’s not a kitten that requires training. Your best bet for your own sanity is to work with your cat to find a litter box, litter, and suitable location should they decide not to like your choices. Set up the litter box. Don’t move it. That will only confuse your car. The moment your new kitten or cat comes home, place them in the litter box. Place the kitten or cat back inside the box after they wake or eat. If you notice sniffing, crouching, or odd behavior, pick up your kitten and take it to the litter box. Reinforce positive behavior with a treat, attention, or a toy. Repeat as needed and with each litter box location in your house. You might wish to introduce one at a time; limit your cat’s exploration to a single floor or room until you’ve shown them each one. 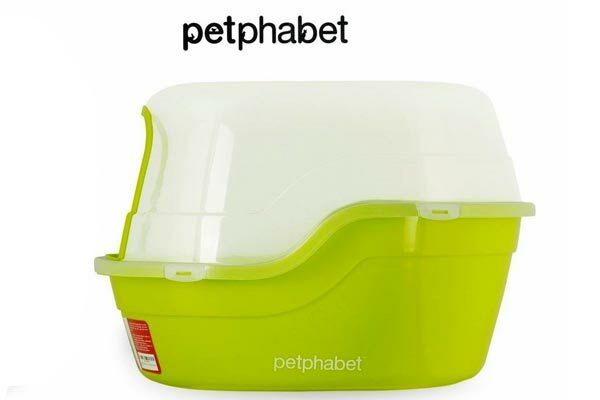 Anytime you switch the location of your cat’s litter box, you have to retrain them. Sometimes cats will go back to the old location and use it. This is as frustrating to your cat as it is to you. However, scolding, hitting or throwing objects at your cat do not help. Follow the same steps to train a kitten. Reinforce positive behavior with an equal reward. Clean up accidents promptly and spray down urine with an enzyme cleaner for cats. This will prevent them from scenting out the old litter box. If your cat was recently ill, they could be associating the litter box with pain. Try moving the box first. However, you might need to replace it with a different style to break their negative association. Strays or cats with unknown pasts can be tricky to train. An enticing tip is to mix clean soil with their litter. Gradually make the full switch to litter once they’re using the box on a regular basis. 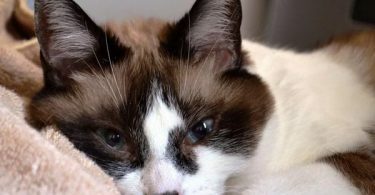 Senior cats and those with disabilities need extra care. If you notice your cat isn’t quite making into their box, you should consider moving it to a more accessible location. A different style, such as classic, could also be beneficial to them as they sit lower to the ground. 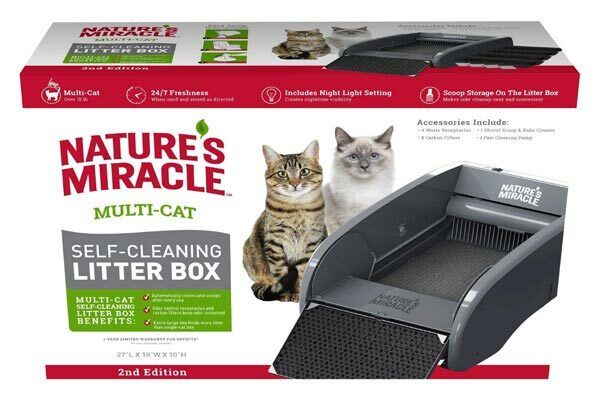 As a last resort, you can opt for a non-litter box solution. Puppy pads can be a lifesaver for both your sanity and your carpet while your cat is retraining. A few owners make the switch because their cats won’t use anything else. As their owner, you can do everything right and still have a cat that refuses to use their litter box. Sometimes they pee but don’t poop in one and vice versa. It’s frustrating when it seems like you have the only cat in the world with a broken litter box instinct. However, you’re not alone. Remember, 10% of all cats have litter box issues. A large number of them wind up in shelters too. Don’t give up on your cat. Your cat only has so many ways they can communicate. Not using their litter box is their way of saying something is wrong. The moment you realize your cat isn’t using their litter box, you need to see your vet. Your cat could simply be sick with a treatable virus or infection. The sickness doesn’t need to be related to the urinary tract or their digestive system. Most cats resume normal litter box use once the illness passes. Your Cat isn’t Sick. Why Won’t He Use The Litter Box? You’ve ruled out sickness, but your cat is still refusing to use its box. Your next step is to start narrowing down reasons, and the easiest way to do this is to create a journal or log. What Questions and Information Goes in the Journal? How often are you scooping the litter box? Did you skip any days? Are you changing out the litter on a regular basis? Are you using the proper litter depth for the size box? Did you move your cat’s litter box? Did you change your cat’s brand or scent of litter? Did you add any powder to the cat box? Did you spray air freshener or place a plug-in unit too close to the litter box? Did your cat have continuous access to the litter box? Was the cat trapped in a room? They might seem like pointless questions, but any one of them can lead to your cat not using the litter box. Some situations can cause stress or negative feelings, which your cat then ties to their bathroom. The latter can lead to avoidance. The first question is simple. Is your cat spayed or neutered? No? He’s likely marking his territory. Females will mark too. Reasons your cat spray vary, and the best way to stop this instinctual behavior is to alter your cat as a kitten. Once your cat sprays, spaying and neutering might not be enough to stop them. They won’t produce the high amount of pheromones, but something triggered their natural instinct beforehand. They can’t unlearn the behavior easily. An altered cat could spray too. Cats begin and continue spraying for any number of reasons. The result is always the same. They’re laying claim to what they believe is theirs. Triggers can include animals and people inside and outside your home. How Do You Correct Spraying? Marking or spraying has no correlation to the litter box. A cat will spray due to stress, mating, territory, and for medical reasons, according to the Human Society. Correcting your cat’s behavior could take time. Your first step is to locate marked areas. A black light flashlight or device makes this easy. Next, you want to take painter’s tape and mark each area with an X. Once you’ve located and indicated each spot, you need to clean them thoroughly with the right enzyme cleaner. If you use the wrong kind, it won’t destroy the uric acid, which is what gives cat pee its tale tell odor and alerts your cat to pee there. Two decent brands are BUBBAS Super Strength Commercial Enzyme Cleaner and Nature’s Miracle Just for Cat stain. Angry Orange is a close third. The surface will determine the method you need to use. Absolutely under no circumstances should you steam clean the area. This will set in stains and scent, and you’ll need to replace your carpet or floor. Hard, non-porous surfaces are the simplest to clean because you’ll wipe them down with your enzyme cleaner. You don’t need to do anything else, and they should stop marking that area. Carpets and upholstered furniture take more work and patience. If the spot is dry, you need to soak the carpet to the pad with your enzyme cleaner and allow it to air dry. You will repeat this until both the smell and stain disappear. Is the urine spot still wet? First, blot up as much urine as possible. Follow the same steps as above. You can assist drying times with fans and dehumidifiers. Also, make sure to keep your cat out of the room. 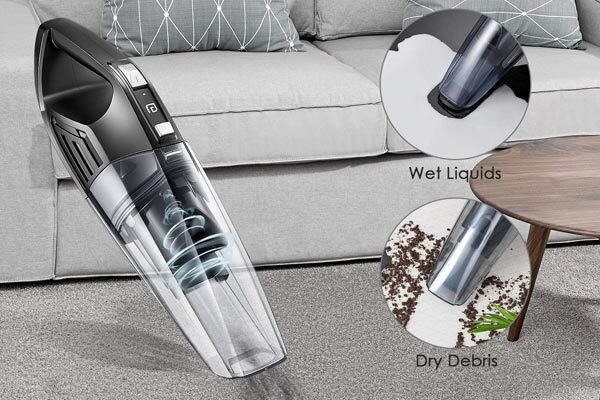 This limits their exposure to chemicals you’re using, and it ensures they don’t spray the spot you’ve finished cleaning. Repeat these steps for every spot in your house. Mark the spot with another X once dry, or you can place down protective puppy pee pads. Some owners will affix them to furniture and walls too. Unless your cat falls into the 10% crowd, you shouldn’t have too many issues training your cat to use the litter box if you follow the tips here. Cats have a bad rap for being finicky felines, but in truth, they aren’t. They’re simply limited in ways to communicate their issues. Be patient with your cat or kitten. Make sure you address litter box problems with your vet. Keep records of any changes you make and your cat’s reaction. Chances are it’s a simple fix and something you’re overlooking.